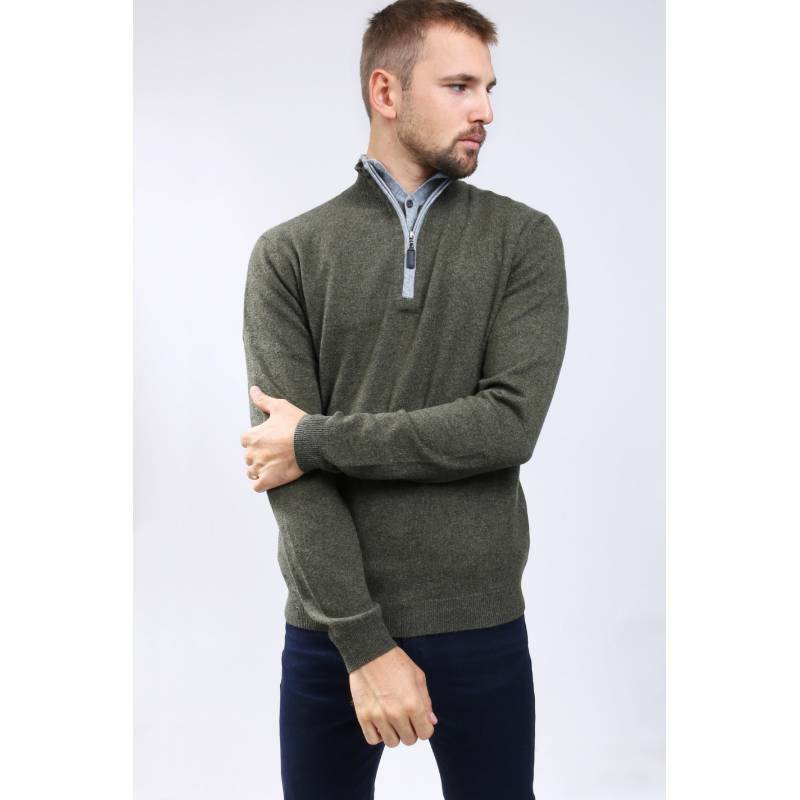 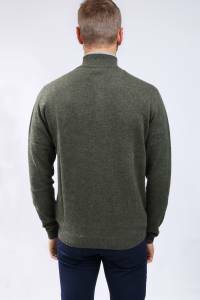 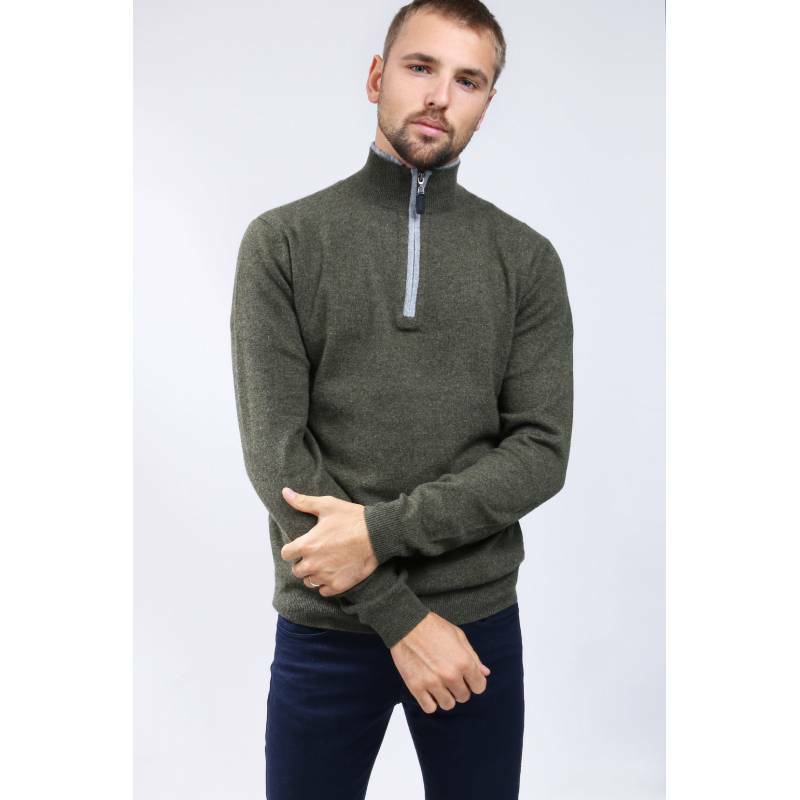 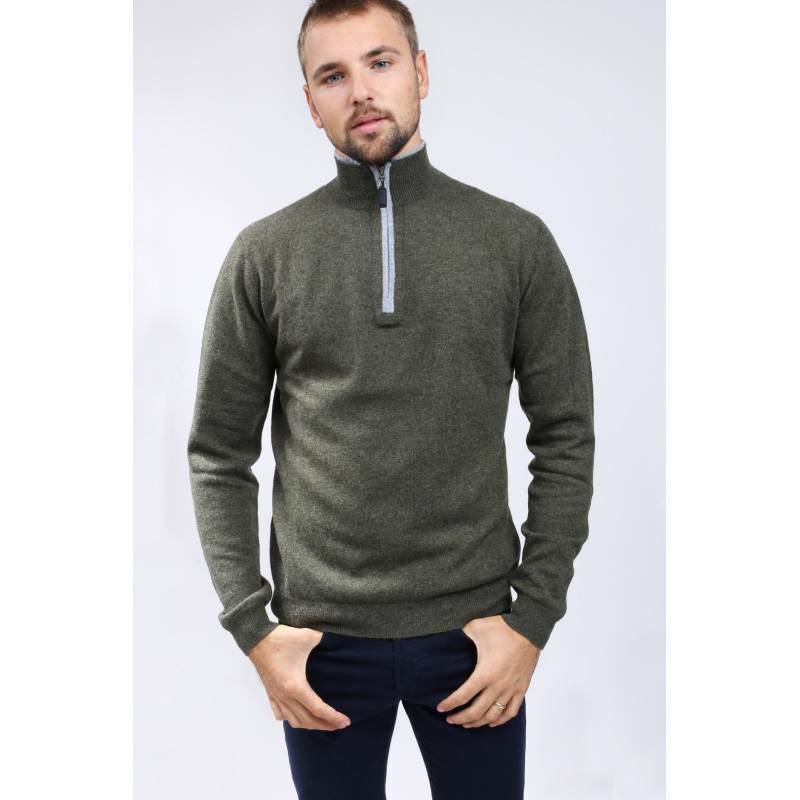 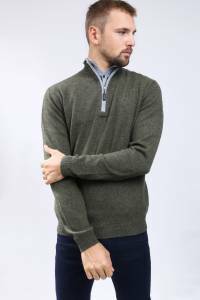 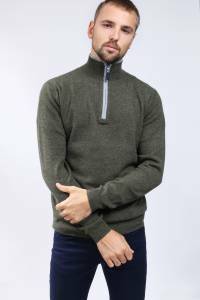 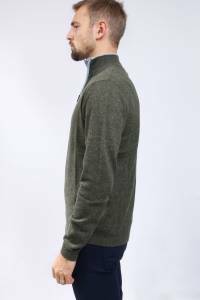 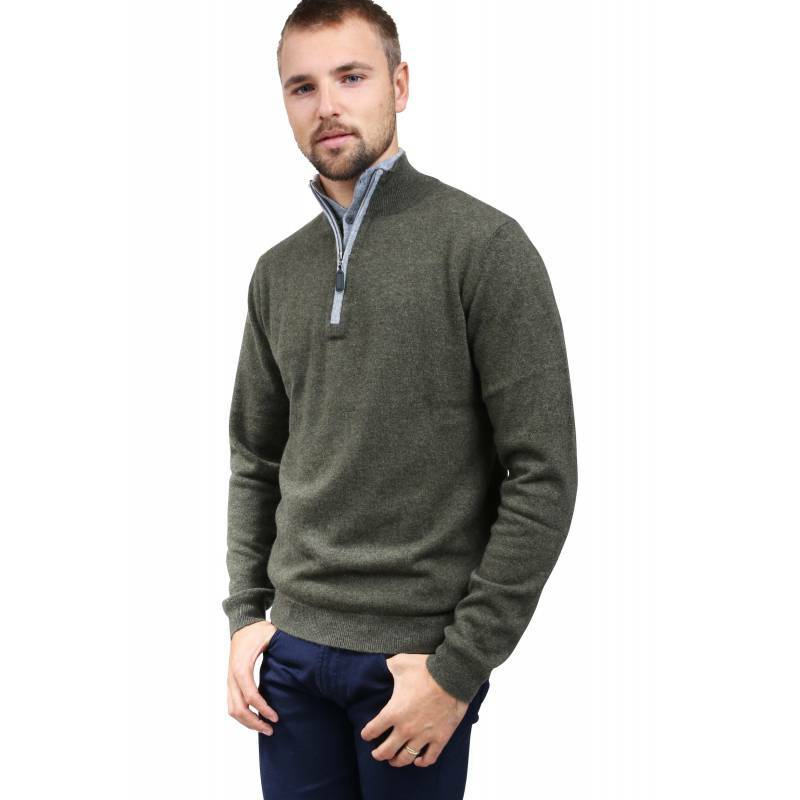 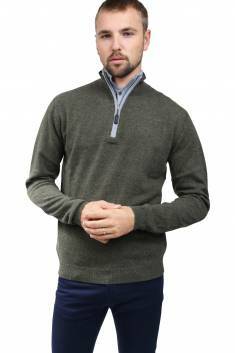 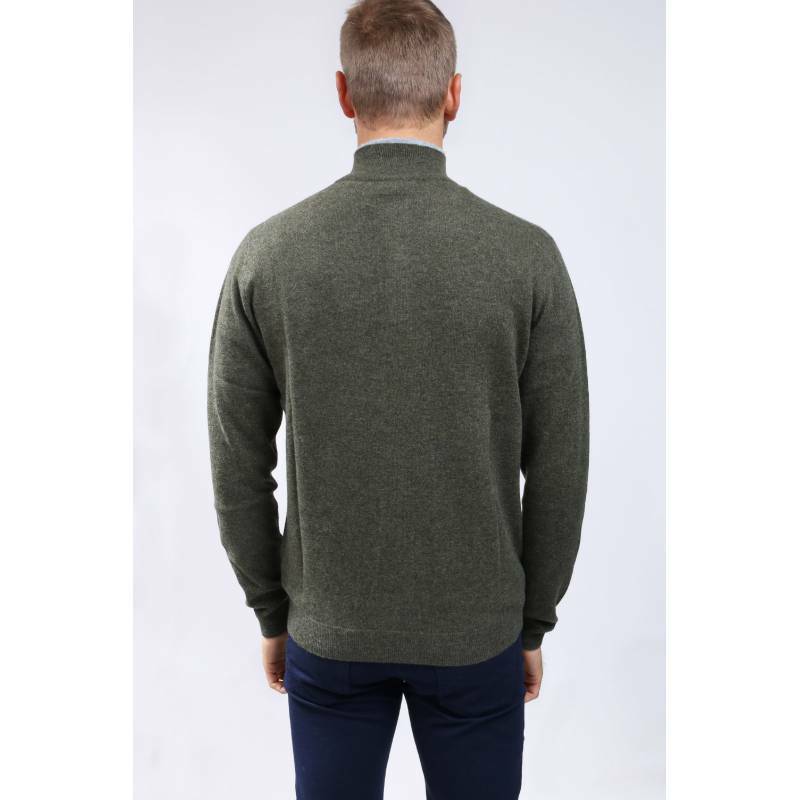 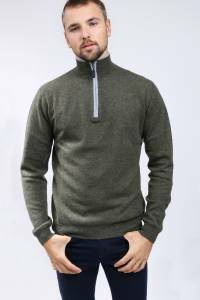 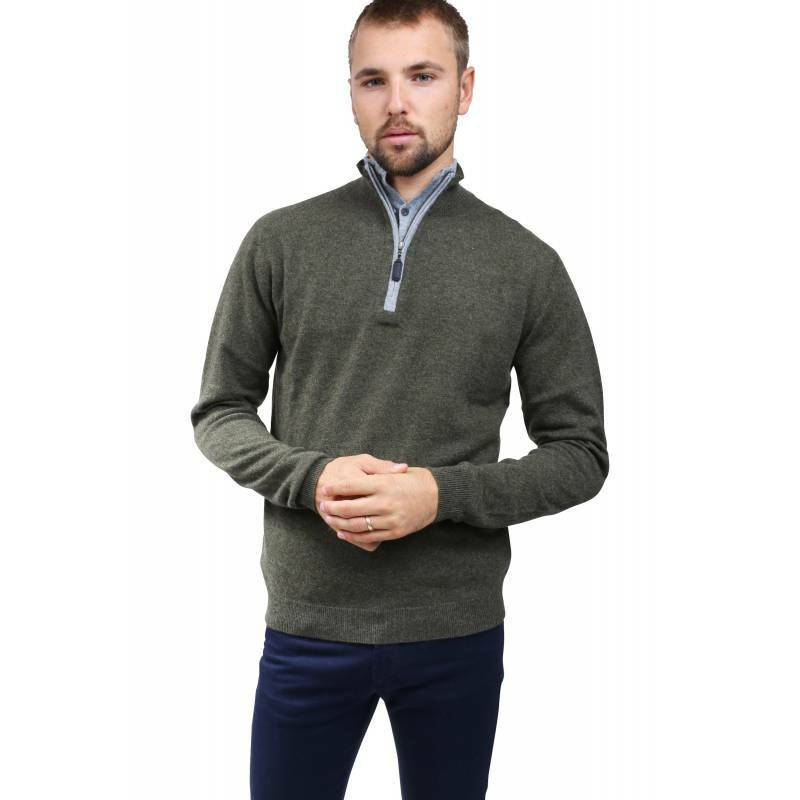 100% cashmere 2-threaded crew neck pullover with a double collar. 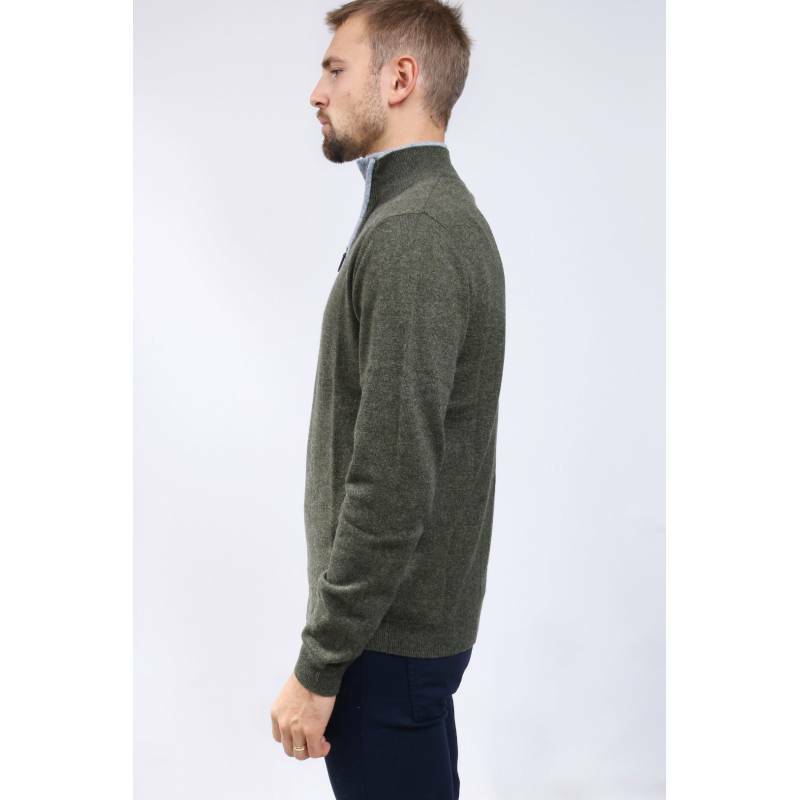 First buttoned collar and second zipped collar with leather toecap. 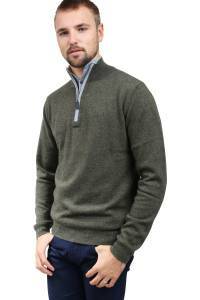 Inside collar and gray zip gait.